FabFilter has just announced the release of FabFilter Volcano 2, the successor of the Volcano filter effect plug-in. 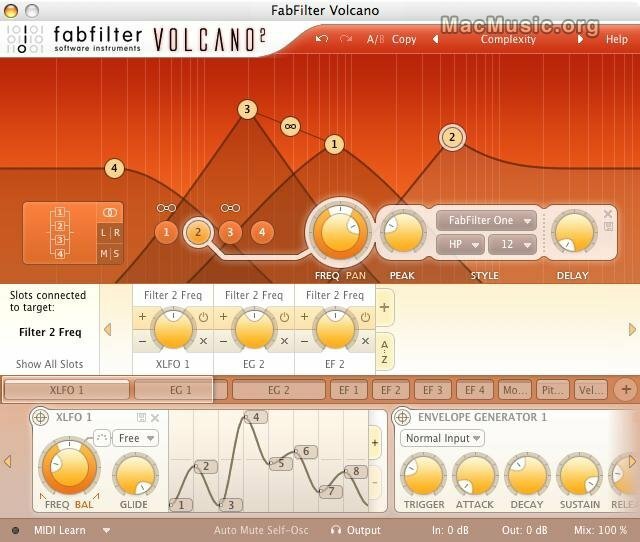 More filters and routings and practically unlimited modulation possibilities make FabFilter Volcano 2 much more powerful. Yet at the same time, the "revolutionary" new 'what-you-use-is-what-you-see' interface makes it also far easier to use. Volcano 2 is available now in RTAS, VST, VST 3 and AU formats for Mac OS X and Windows at a price of €119 / $179 / £94. Bundles with FabFilter Volcano 2 and other FabFilter plug-ins are also available. Note that existing Volcano users can upgrade to Volcano 2 for €39 / $59 / £29. All other FabFilter customers that own Timeless, Pro-C, Twin, Simplon or One can crossgrade to FabFilter Volcano 2 for €79 / $119 / £59. These upgrade and crossgrade offers last until July 31, 2008. Last but not least, a fully fonctional 30-day trial version is also available.